The game with no name, revisited and improved. 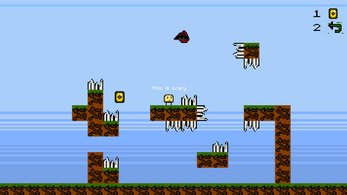 Randomly generated levels! Spikes! Other stuff! This is a really slick game and well executed! Nice job. The 3D graphic style was neat and I liked the ability to choose from slowing down or speeding up time. I think weaving between enemy shots is a bit too precise and could have used a smaller hitbox or less enemy shots, but I guess it does fit the name of too many bullets. Nice game overall! Managed to complete the game! It was fun to see the levels ramp up and eventually I got into a rhythm of getting as many slow motion shots in as I could against the big guy and just tanking hits from the bouncing things. The amount of bullets coming from different directions got a little overwhelming at times but I'm now really curious if it's possible to do a no damage run. Nice job! Really neat control scheme on this one. It adds a layer of difficulty that was sometimes frustrating but feels worth it because it left some variety in how you choose to play, I tried both figuring out the specific key i needed to hold in order to go somewhere and keysmashing half my keyboard like it was a giant D-pad to move in the general direction. The way of fighting back against the boss was also fun because it required moving into dangerous areas of the screen to do damage. Nice work! Nice work! The pixel art and music are really nice and it's a fun, easy to grasp game. I think some indication of which side of the screen the next enemy wave is going to come from would be nice but I understand the need to keep the UI simple and the ability to slow down enemies helps alleviate that issue. This was take on bullet hell I've never really seen before and the third level was satisfying to figure out with some room for creativity. The entry was short and sweet but I think this one is worth considering expanding on because with some new mechanics and player types this could turn into a really awesome puzzle game. Really cool theming on this one! The gameplay started off slow and then picks up really quickly, once the fish start coming fast there's a really nice flow as you react to one thing just in time for the next and wrapping around the edge of the screen plus the slowdown ability add nice escape routes. The music also helps to keep you focused but I would have liked some kind of indication of how far you are while playing to add that 'almost there' feeling when approaching a high score. Nice work! 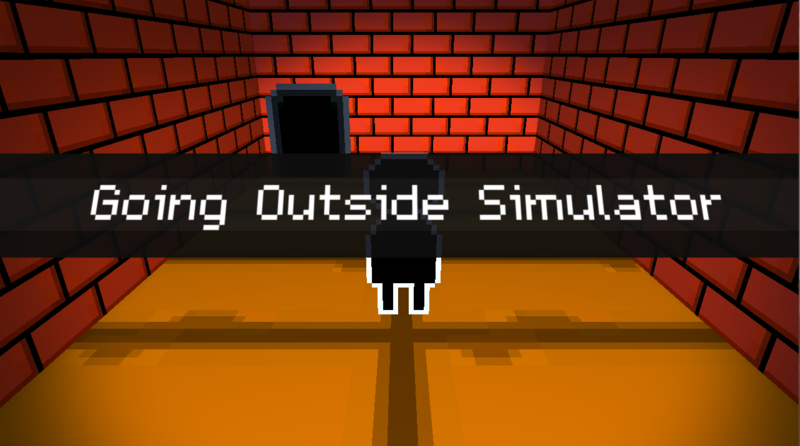 Part cautionary tale, part fun video game, and 100% realistic* , with the power of Going Outside Simulator you can make some friends, take in the fresh air, buy a new hat, and get killed by the many dangers of the outdoors from the comfort of your own home. NOTE: There is an ending to the game, it can be reached by making it to day 6 without dying an unfortunate death. I Don't Want to Play This Game a tough randomly-generated platformer where (hopefully) with each run you'll gain skill and make it a little bit closer to the game's end. I'm a relative beginner to unity, and I'm looking for any and all feedback - cool ideas, criticisms, things you enjoyed, or anything in between would be greatly appreciated! Here's a nice secret for scrolling all the way down here - Want to try each world without spending all the coins to get there? Just stand on the door for that world, jump up and hold C, rewinding into the door. That lets you enter without having the coins necessary. Enjoy! Thanks! The level screen is a smart idea and I hadn't thought about using it to encourage retrying. Thank you! I'll make sure to keep that in mind if I come back to this game! Nice work! This game had really cool central mechanics and the levels were a lot of fun, but the graphics and sound could probably have used some work. (i understand finding assets that fit well can be very tough) aside from that, this was an awesome game! Thanks for the kind feedback! I definitely agree that in retrospect, some levels spike up the difficulty a bit too much. 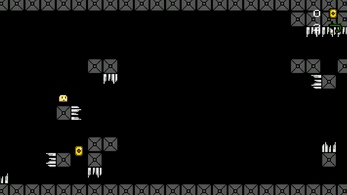 I had some levels that were more "puzzley" and some "skill" ones, and I think the precision was a result of me getting too used to them while testing, so my quick and dirty attempt at fixing that was the skip buttons.